A recent rumor suggested that the Moto Z2 Force will be coming to T-Mobile, and now images of the upcoming Android phone have leaked. 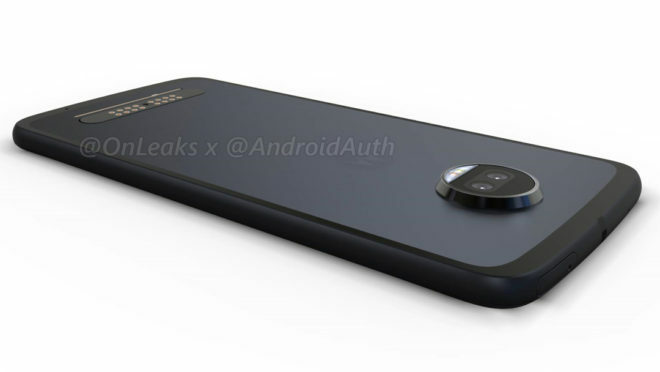 Renders of the Moto Z2 Force have been shared by @OnLeaks and Android Authority. The renders are based off of factory CADs and show off the Z2 Force from just about every angle. This Moto Z2 Force doesn’t look too different from last year’s Moto Z and Moto Z Force, but there are a few features worth highlighting. For example, the round rear camera housing now includes two sensors, a feature that we’re seeing on more and more flagships recently. Also included on the back of the Z2 Force are connector pins for Moto Mods, Motorola’s range of add-ons that include a projector, battery pack, speaker, and more. Around on the front of the phone, we can see a front-facing camera with flash above the display and a pill-shaped fingerprint reader below the screen. 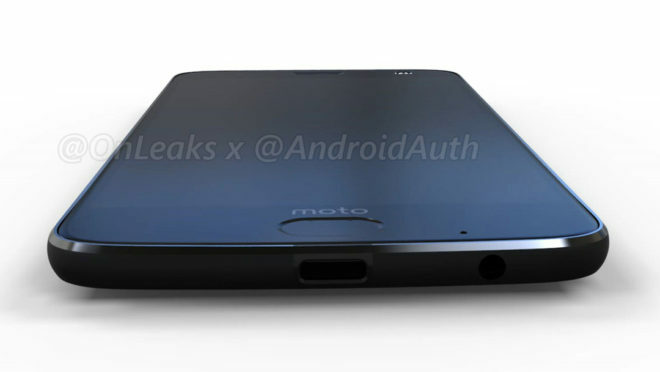 The bottom of the phone is home to a USB Type-C port and a 3.5mm headphone jack, the latter of which is notable because there was no 3.5mm jack on the original Moto Z Force. Verizon was the only US carrier to sell any Moto Z phones, so it’ll be a big deal if the Moto Z2 Force does come to T-Mobile. While Motorola did sell an unlocked Moto Z, not everyone buys unlocked phones, whether that’s because they don’t want to pay the full price all at once or because they just prefer buying their phones from their carrier. If T-Mobile does offer the Moto Z2 Force, T-Mo customers will get to see what Moto Mods are all about and will have a wide range of Mods available to them. What do you think of the device shown in these images? Will you check out the Moto Z2 Force if it comes to T-Mobile? Any idea on hardware specs? Anyone use the predecessor? Are the mods any good? Doesn’t seem like they were a hit for LG. The former was on par for specs vs the competition, good reviews, mods are set for at least​ two years and there are some useful ones. LG gave up as their setup wasn’t as user friendly and didn’t garner many sales. Moto/Lenovo on the other hand has committed because there is positive reception. plus you can hot swap with Moto. You can’t with LG. My mom has the Z Force and its nice. The thinness bothers me for the width. Felt to wide since it was so thin. She has a back case on it, and got the Projector free from Best Buy when it came out. Now that’s pretty cool. Much more user friendly it seems. Sounds like a solid option. I was reading the original sold for ~$700. Hard to compete with Samsung without undercutting them in price in my opinion. It’s too bad because there are definitely good alternatives out there. Keep in mind the mods which are upping the ante. Also it’s sold as a more rugged device, comparable to maybe Samsung’s Active but that exclusivity normally goes to AT&T. I’ve read good things about the 835. Fingerprint sensor also a physical home button? Need new Samsung alternative! I have a moto Z play, and my only gripe about it was that the fingerprint reader does NOT function as a home button. the Android navigation functions are on screen on that one. That being said, I love the fact that the android experience is so vanilla on it compared to samsung, htc and LG who all feel like they need to re-invent the wheel with the messaging, dialer, calendar and other stock apps. What a bummer! A physical home button was a huge plus for Samsung. And I’d much rather prefer the FP sensor on the front. I refuse to buy an S8! Z2 is looking great though…. Ahhhhhmazing!!! Where can I confirm this info? This started with the Moto G5 Plus. Again, where can I confirm home button functionality? I think the biggest thing is the projector mod I may buy this with phone if it’s good as it sounds. If it’s a good price I can see myself getting this on EIP. It looks promising. Motorola finally got it’s head out of Verizon’s A$$, good on them. I’m definitely interested in this. Omg yes that would be a gold idea! Fantastic thought totally right that phone is awesome! As will I hope for 5, 6p google phones!